Cannabis has an inclusivity issue. And we intend to solve it. Cannaclusive was created to facilitate fair representation of minority cannabis consumers. We were inspired by the growing opportunities yet disappointed by the diversity issues taking root in mainstream cannabis culture. At Cannaclusive we celebrate the cultures of this thriving community through curated experiences, groundbreaking insights, thoughtful content and dynamic visuals. We make it easier for brands to communicate with diverse audiences and ensure that minority consumers are not an afterthought, but a valued ally in the fight for legalization and destigmatization. Stay Gold is a one of a kind social experience for medical marijuana patients that integrates etheral bass laden tunes with expression, advocacy, education, and culture. We develop and promote inclusive environments for refined creatives and professionals who enjoy any and all forms of elevation. Mary Pryor is a passionate and vocal media expert currently based in Los Angeles and New York. Raised in Detroit, Michigan, Mary received exposure to automotive design, electrical engineering, music, digital arts and marketing at an early age. Today Mary is a powerful and accomplished Digital and Marketing Specialist who has worked for major brands such as Sony Music Group, Viacom, Attention PR, City Parks Foundation, Mirrorball, Uptown Magazine, Black Enterprise, CBS News, Ebony Magazine, The Rolling Stones, VaynerMedia, Mindshare, McGarryBowen, McCann, SheKnows, and MusicWorld. She realizes that there is a pressing need for agencies that catered to culturally rich and niche audiences through digital and social marketing integration. Mary is a proud native Detroiter and Wolverine thanks to the University of Michigan. Tonya Flash is a highly sought after entrepreneur and consultant. With more than 12 years of experience in marketing and community engagement, Tonya has helped both established and startup companies forge meaningful connections with their audiences. Her past client list ranges from grassroots non-profit organizations to Fortune 250 companies. She holds a Bachelor's degree in Public Administration from Florida International University and a Masters in Urban Policy Administration from Brooklyn College. Charlese Antoinette has nearly a decade of experiences as a stylist, creative director and costume designer under her belt. She is as an expert at thoughtfully curating wardrobe and designing original looks for film, television, commercials, producing photo shoots and experiential events. Whether the project is historical, modern, or wondrous, Charlese endeavors to be as imaginative as she is resourceful, and her talent is limitless. As a result, Charlese is widely respected for her style influence and collaborative approach in bringing each and every client's unique vision to life. Her past clients & collaborators include, but are not limited to Nike, Levi's, Puma, Adidas, BBC, Converse, and Vans. Networks and studios she's worked with include MTV, Netflix, Warner Bros, Sony and Hulu. She is a graduate of the Philadelphia University with a BS in Fashion Merchandising & Marketing. Kendra Norwood is an industrious and enthusiastic professional who effortlessly supports leadership and teams in the execution of a variety of feats. She’s been able to develop and manage relationships across the industries of service, sales, hospitality, and radio broadcasting by approaching stakeholders with a palpable energy, and sincerity in her interactions. Kendra is passionate about bringing the right people together—a connector. As Cannaclusive’s Los Angeles Project Lead Kendra is our eyes and ears on the ground. Kendra has many responsibilities including relationship building with cannabis leaders and influencers across California, obtaining brand sponsorships, and evangelizing Cannaclusive to individuals, brands, NGOs, and the like. 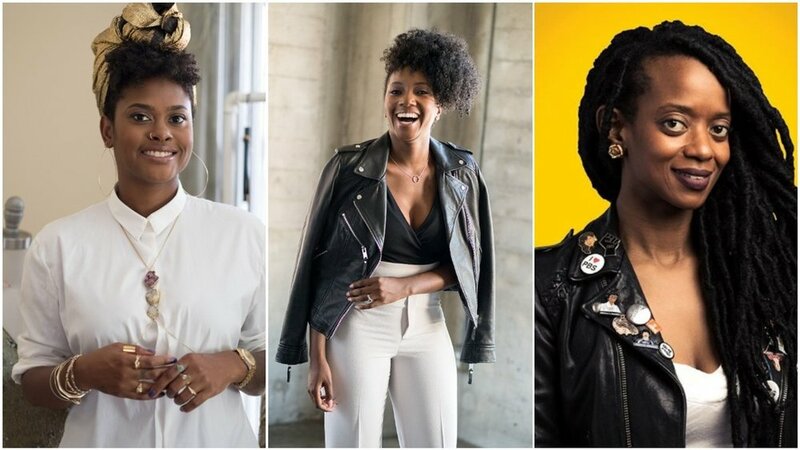 From business owners to cannabis yoga instructors to ganja rappers, these ladies are carving out a space for POCs in the overwhelmingly white and male-dominated cannabis industry. After working as a digital media specialist for major brands and founding her own consulting firms, Pryor is hoping to carve out a niche as a marketing specialist and venture capitalist advisor in this industry she’s passionate about. In particular she says she wants to help underrepresented business owners in the cannabis space (think black and Latin/Hispanic female founders) connect to funding. Cannaclusive is a groundbreaking community of like-minded individuals who are driving the push for inclusivity and diversity inside the thriving cannabis industry.